In the late 17th century, James II served as the Roman Catholic King of England, Scotland, and Ireland. He reigned from 1685-1688. During the last year of his reign, he was overthrown by Dutch Protestant William III and his army. 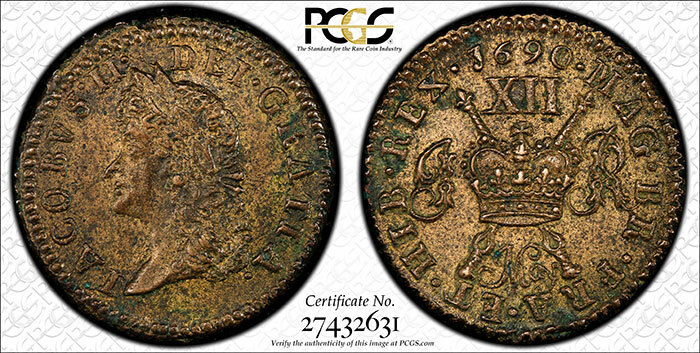 William III ruled from 1689-1702. Since James II was no longer in power, he began to rebuild his army to fight back against William III and take back the throne. In 1688, James II needed his military to stay with him and fight William III. Although he needed the help of these men, he was running low on resources and even more importantly, money, to fund his military. Running low on ideas, James II thought of issuing “Gun Money”. Using this idea, he was able to convince his army to take base metal coinage for payment. This saved him a large amount of money because he was able to use metals such as Copper, Brass, and Pewter which were very easy to obtain at the time. These coins were made to guarantee that after the war was over, James II would allow everyone who was given these coins to redeem them for the weight of silver and gold once they win the war. One of the reasons commonly believed as to why these coins are called “Gun Money” is that most of the metal that was used in the minting process for these coins came from melted down guns. However, (in actuality), church bells were mostly used in the process of creating these coins. Gun Money was produced for two years from 1689 to 1690. In the first year, most of the coins were produced containing only Shillings, Six Pence, and half-crowns. 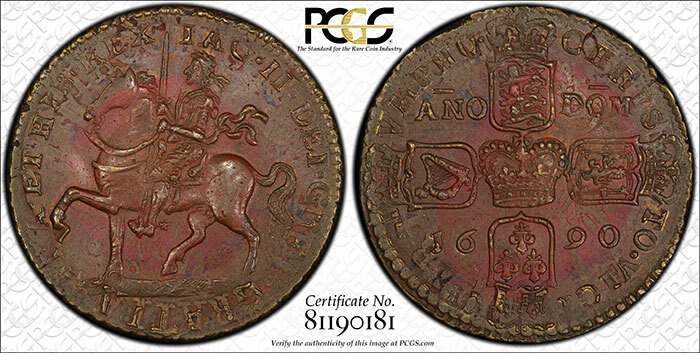 In the second year, one more denomination was added, producing: Shillings, Six Pence, half crowns, and crowns. When the war ended in 1691, James II and his army lost, and he never fulfilled his promise to exchange the “Gun Money” for the weight in gold and silver that he owed his army. Overall, these coins have an amazing history and story behind them. Who knows where all the metal came from? I can only imagine what was melted down to produce these coins. 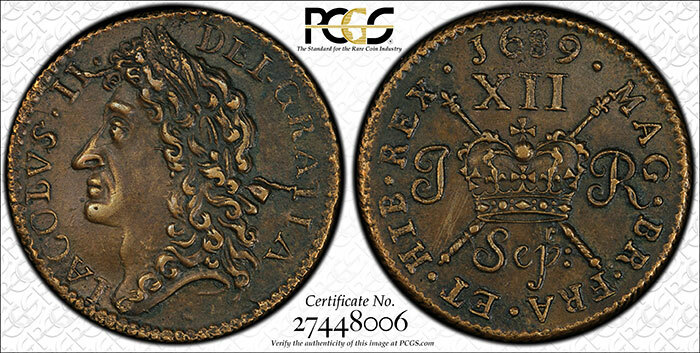 All the coins that were produced by James II and the mint contain a bit of different history in each coin.